Y’know that book various bloggers have been talkin’ ’bout that’s hard to find and really expensive to order? Guess what I’m looking at right now! 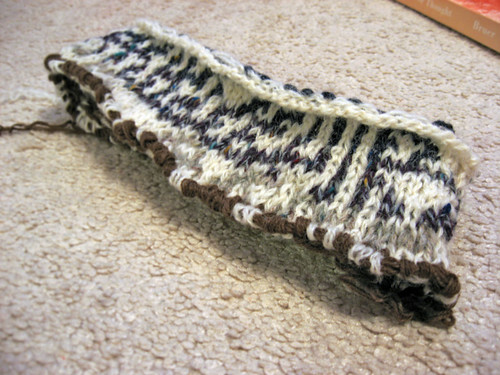 Oh yeah baby, those two previous sentences describe the very same delicious book of mitten patterns. 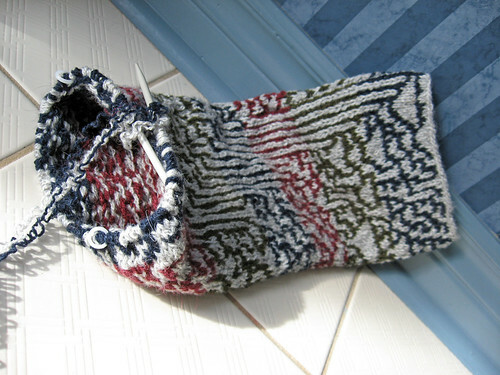 Mostly Mittens by Charlene Schurch. Boom shakalaka. Remember when I couldn’t find my camera a few days ago? I’ve been doing lots of knitting (version 2.0 of my Dad’s Rule 30 scarf and a few cute hats), but now my camera’s batteries have run out and I can’t find my charger. I will find it again! Hopefully. For now, you’ll have to settle for pictures of Pokemon. I’ll be keeping a master list (not available yet) of every Yarnival issue on this blog. It’ll appear on the sidebar somewhere; I’ll figure out where to put it later. The next issue and all forthcoming issues will include a rule (nay, strongly suggested guideline) that if your post is accepted into an issue, you must either a) post a link to the carnival issue in question or b) repost the carnival links in their entirety (by that I mean the entire body of the current issue). I like the second because the reposting means there’s one less click between the reader of a blog and the carnival articles, but some editors may not like this option because it distributes their content and no longer drives traffic to their site. I like the first option better.